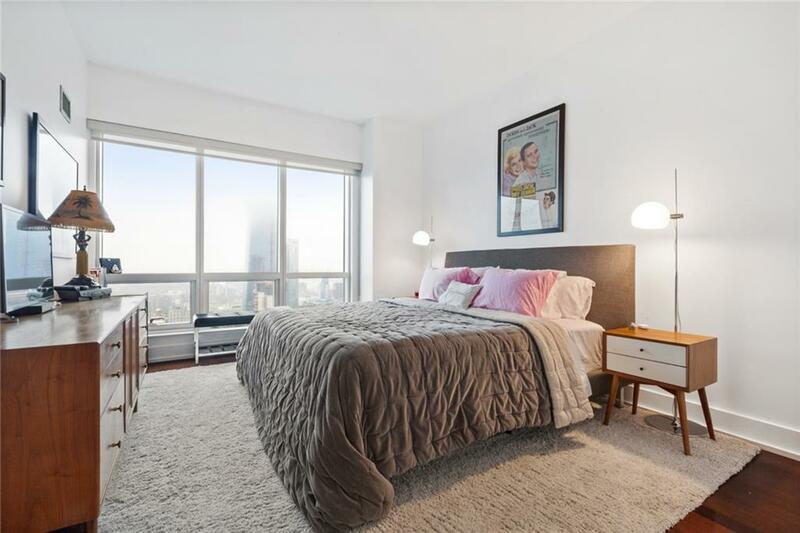 Perched high above the city on the 51st floor, this spacious corner one bedroom home has it all. 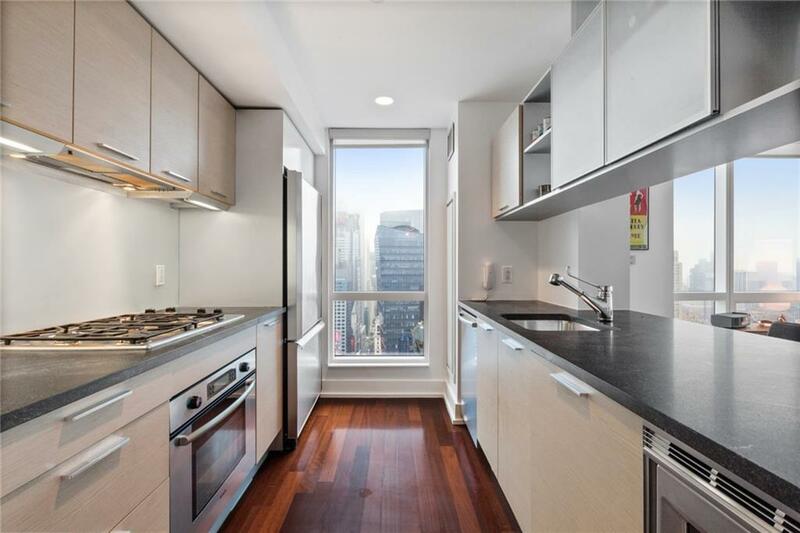 Enjoy panoramic open city views from the 51st floor with iconic views to the east and south- boasting the Hudson River, the Chrysler building, the Empire State Building, and south all the way to the Statue of Liberty. This incredible property features a windowed open kitchen with an extra wide refrigerator, custom cabinets, Bosch gas range, induction microwave unit, dishwasher, granite countertops, and a breakfast bar with power. 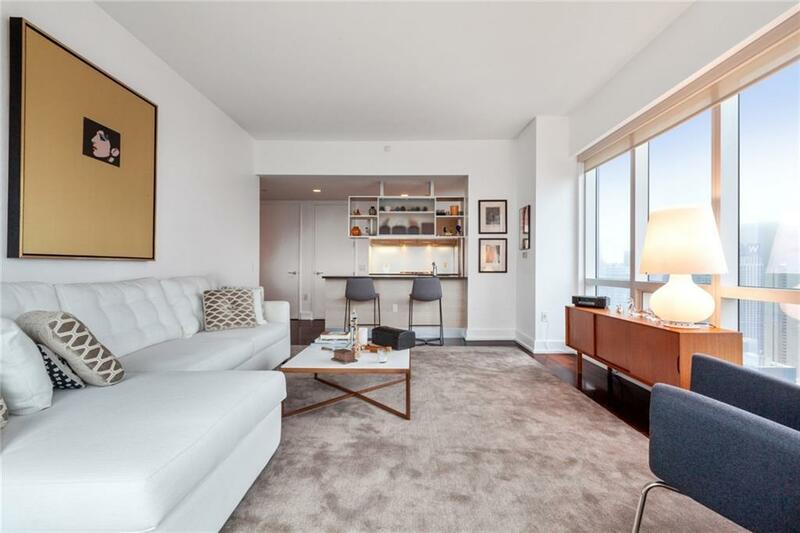 The large living room enjoys eastern and southern exposures, with open city and Hudson River views. The king-sized bedroom also enjoys picturesque southern views. The luxurious bathroom is replete with a deep soaking tub and Waterworks fixtures. There is also a Bosch washer/dryer in unit and an abundance of closet space. The Orion Condominium amenities include a full-time doormen and concierge, on-site garage and specialty concierge. Amenities are located on the 29th - 31st floors and include an 8,200 SF fitness center, swimming pool, spa, billiards room, children's playroom, residents' lounge, business center, 3 sun decks and more. Conveniently located a stone's throw from Times Square and Broadway Theaters, access to the entire city via 14 Subway lines- including the S train to Grand Central Station, and surrounded by some of the city's best shopping, dining, and entertainment, as well as the Hudson River Park. 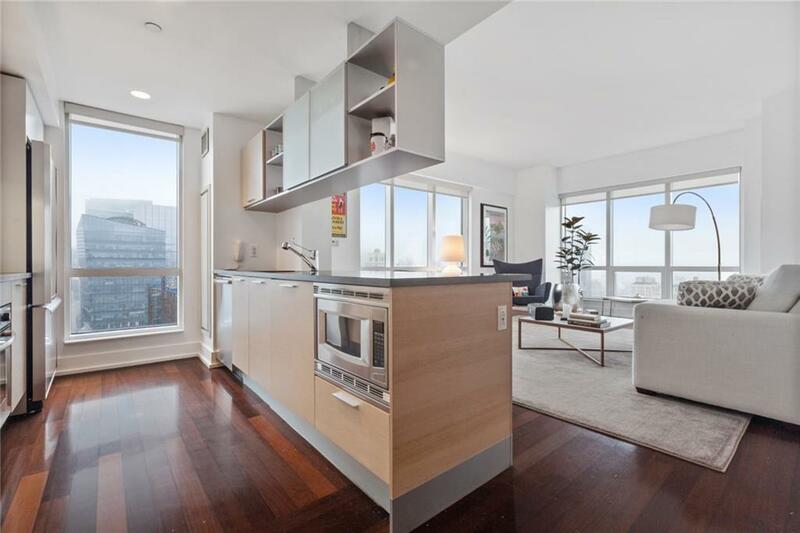 Listing courtesy of David Kong of Keller Williams Nyc.